white and blue, stripes and rope details, I love it all. be great to snuggle up in on cooler summer evenings. skater skirt and some boat shoes. to your nail polish this summer with Butter London’s Nail Lacquer in Royal Nail which is available here.Nothing is off limits when it comes to dressing sailor inspired! would definitely be playing dress up in this piece. update the look of the room. holiday, I am literally counting down the days until it arrives! 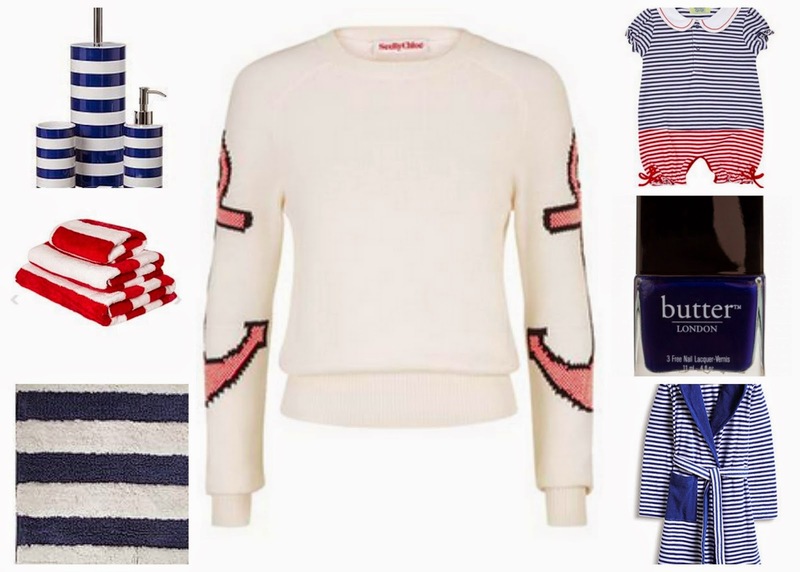 favourite nautical trend pieces are in the comments!